Emerald Freight > News > Emerald Freight > BREXIT IS COMING! I recently attended a IIFA Brexit Presentation where I had the pleasure of hearing from a leading Irish Revenue Official. One thing came to light, whether there is a hard or soft boarder, each movement will require a customs declaration, in fact Revenue expect there to be an 800% increase in customs declarations which will seriously affect everyone in the supply chain, from Revenue, shippers, importers, hauliers, Ports, Airports, forwarders and most of all the department of agriculture who will be required to oversea the inspections depending on commodity or ‘spot checks’. For all Shippers/ Importers out there the question needs to be asked, ‘are you prepared’ ? Do you have a trusted ‘Customs Clearance Broker’ who can handle your Import & Export declarations to an AEO standard. Emerald Freight Express has been AEO certified since 2011, we are prepared with our team of professional staff to become your partner when it comes to custom declarations. Uncertainty aside it is recommended that you put your Brexit plan together as March 2019 will soon be upon us. 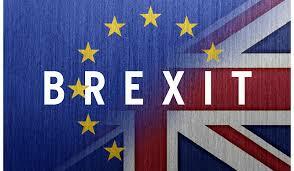 As far as Emerald Freight Express are concerned, we will continue to travel to anything ‘Brexit’ and learn and develop our knowledge so in return we can pass onto our valuable customers.